Security Specialists Australia, experts in bespoke security solutions, secured cash transit, secure storage, secure freight, armed security and more! Servicing Australia wide, contact us today https://www.securityspecialists.com.au/ Phone: 1300 137 235 Email: admin@securityspecialists.com.au Address:. Mooring contractor in Sydney Harbour providing mooring inspection and servicing, new moorings laid, boat salvage and barge hire. 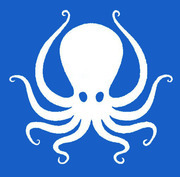 Website:	http://octopusmarine.com.au Phone:	0413 990 770 Email:	deniz@octopusmarine.com.au Address: 16 Bay Street Birchgrove NSW 2041 Australia. Gutter cleaning is crucial to avoid blocked pipes that cause major electrical and fire hazards to your home. 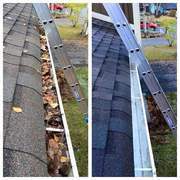 Gutter Cleaning Sydney Hills Area surrounds. More info Visit Our Website -- http://www.tsrd.com.au/gutter-cleaning/. Onga is one of Australia's most trusted brands when it comes to water pumps. Midwest Valves AU has been selling Onga pumps for a very long time and we have had an excellent range to choose from, the types of pumps. 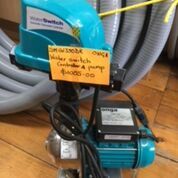 A huge range of Onga pumps, no matter what Onga pump you are looking for, Midwest Water Pumps can definitely help, as Onga has a product to meet your every water need. Shore Hire offers one of Australia’s most complete shoring, propping and traffic product ranges, with high quality equipment and components fit for any construction undertaking. Website:	https://www.shorehire.com.au Phone:	02 8708 1200 Email:	jared@shorehire.com.au Address: 354 Edgar St, . Whether its reactive, mobile or resistive loadbanks, we are equipped to offer you the best products and services at highly competitive prices. So if you are looking to test your generators, we are the perfect place for you. We are giving you the chance of testing your generator using reactive and resistive loadbank. Spectra Electrical & Communications are Sydney based Electricians. We specialise in electrical repairs, maintenance and installations, with> electricians across the entire Sydney region. Our electricians can> service homes, commercial premises and strata properties anywhere in> Sydney. We are also licensed Level 2 Service Providers to assist you> safely with mains power. Planning your wedding theme? How about going for a mercedes wedding car hire or car rental for your venue in Sydney? Call us at Exclusive events hire now. More info Visit Our website -- http://exclusive-events.com.au/showroom/mercedes-benz-e-class-amg-ug-cabriolet/. Mango King is one of the largest and most reliable Mangoes Suppliers in India. We mostly export mangoes from India to Australia. I main aim is to provide fresh and organic mangoes to our customers. We collect quality mangoes throughout Indian orchard and keep them hygienic fresh and organic. Our export service and return policy are also very easy. Nothing can be as memorable as starting your new journey in a luxury car. Visit us or call now at Exclusive events hire for Porsche car hire in Sydney. More info Visit our website -- http://exclusive-events.com.au/showroom/porsche-911-turbo/. We are a well-established business with a good reputation in the industry in Sydney. We accept scrap metals, scrap batteries, and steel. We also recycle catalytic converters, electric motors, etc. Believe it or not, recycling is a vital part of acting sustainably. 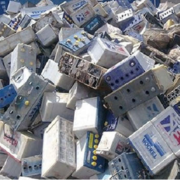 You might be aware of the fact that the contribution of scrap metal recycling or scrap batteries recycling towards environment is great. Family owned and operated Air Conditioning company. Providing both commercial and residential solutions in Sydney. Call today or go online for a quote. Website: https://www.airomania.com.au/ Phone: 02 9686 2900 Email: sales@airomania.com.au Address: 351 Windsor. Are you looking for coffee franchise? Contact us, we offer aspiring entrepreneurs with a great business opportunity with a proven turnkey system and full ongoing support. http://lavacoffee.com.au/. As a registered practioner of chinese medicine I've been transforming the health of eastern suburbs women and their families since 2004, using a holistic approach to. 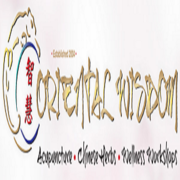 Website: https://www.orientalwisdom.com.au/ Phone: 04 1215 2928 Email: tania@orientalwisdom.com.au Address: 2/372 Anzac Parade. Sydney's most trusted critical care, intensive care, and mental health nursing recruitment agency. If you are looking for a specialist nursing job in Sydney, contact us today http://medicallplacements.com/. Delivery of Nationally Recognised Training. 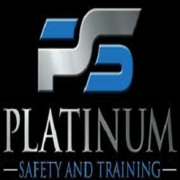 We aim to provide clients with the skills and knowledge to ensure the highest level of safety within the workplace. The nationally accredited training will also assist all employers and employees with compliance in relation to work health and safety. We focus on areas such as Working safely at heights, a variety of confined space courses, first aid courses from basic to advanced. Turf experts offering turf construction, turf renovation, sports field drainage and ongoing turf maintenance of natural turf sports surfaces and recreation areas. 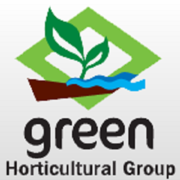 Website: https://www.greenhorticulture.com.au/ Phone: 02 9679 2555 Email: sales@greenhorticulture.com.au Address: 182 Annangrove. Graphic logo design agency Australia is specialise in the development of unique and engaging brands and are passionate about creating thoughtful and honest solutions that are borne by an intelligent understanding of the task at hand. Phone : 1300303139 Company email: sales@aubdesign.com.au https://aubdesign. Expert Pest Control offers a high standard for all domestic and commercial premises treating all those nasty pests. We are a professional team offering competitive and affordable rates with the results to match. For more information please visit https://expertpestcontrol.com.au/. Medtrans offers psychology translation services in more than 150 languages so you can guarantee we can find a suitable certified translator to undertake a translation of your psychological tests and provide a psychology test results translation competently as well. To know more visit us at https://bit. Are you deciding on DIY tree removal in your yard? 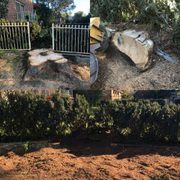 Hold on for a second as it requires the attention of specialist arborist in Sydney with experience in stump removal services. Sydney Stumps is the name you should bank on as we have made our mark in the business by offering affordable solutions of stump grinding and tree removal in Sydney and Sutherland Shire. We are an Event Management Company based in Sydney. We specialise in large or small conference and events management for a range of business sectors. 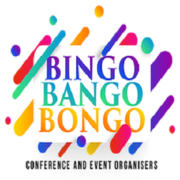 Website: https://www.bingobangobongo.com.au/ Phone: 04 0200 0945 Email: bingo@bingobangobongo.com.au Address: Ryde NSW 2112 Australia. A1 pest control. Hills District Termite Specialists. Safely get rid of unwanted pests & termite control. Pest reports and thermal termite inspections carried out using the latest equipment by experienced technicians. 33 Bella Vista Dr Bella Vista NSW 2153 bruce@a1pestcontrol.com.au https://www. 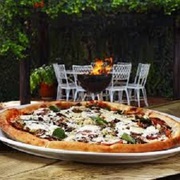 Zelicious Woodfire Pizza is one of the most demanded party catering firms in Sydney. We offer delicious range of wood fired pizzas at budget prices and also offers catering services for birthday parties.Visit @ http://zeliciouspizza.com.au/. Best video production company Australia has a passion to develop unique videos, that is specialised in corporate and web video production for all type of business and help business and brands to accomplish their objectives. It is the best method of producing a video for business purposes like advertisement, music, and corporate promotions. Wherever you are in Australia, we make decorating your interior easier than ever. With our online photo framing service, you are able to find the perfect products for your needs without the need to travel store to store. Address: Unit 1, 2 Liverpool St, Ingelburn, Sydney, NSW, 2565, Australia Website:	https://www. Other services Sydney ads Sydney, Other services classifieds Sydney, Other services free ads Sydney, ads for sale Sydney, ads to buy Sydney, FREEADSAustralia Page number 7-1. Find here ads for sale, to buy and rent in Sydney. Goods for sale in Sydney, vehicles for sale in Sydney, Sydney real estate for sale, Sydney property for sale, property for rent in Sydney, business ads in Sydney, Sydney business classifieds, services in Sydney, Sydney services ads, jobs in Sydney, pets for sale in Sydney, Sydney dating, Sydney cars for sale.